Two Port Allegany residents are dead and an Eldred woman is hospitalized following an accident at 3:45 Saturday afternoon on Route 155 in Liberty Township. State police say a Jeep Cherokee driven by 42-year-old David Bayline of Port Allegany crossed the centerline and hit a pickup truck head-on. Bayline and his passenger, 48-year-old Theresa Bayline, were pronounced dead at the scene by Deputy Coroner Bob Hartle. The other driver, 58-year-old Helen Bigley of Eldred, was flown by Stat MedEvac helicopter to Altoona Hospital for treatment of major injuries. The Oswayo Valley Middle/High School Senior Class presents the 3rd Annual Melodrama and Dessert Theatre on Friday, November 13th and Saturday November 14th. This original melodrama fundraiser titled "Murder? Music! and Mayhem...Oh My!" has an old-fashioned Showboat theme and the student heroes, villains, and comedians will make you laugh with cornball humor, singing and dancing. The show will be presented in three performances on the Oswayo Valley Elementary School stage on Friday evening at 7pm and two shows on Saturday - with the matinee at 2pm and the final show at 7pm. Tickets can be purchased from any Senior class member, at the Oswayo Valley High School, at Sprout's Drugstore and also Northwest Savings Bank. Please come out and support this wonderfully entertaining Senior class fundraiser! One hundred free seasonal flu shots will be available at two upcoming clinics for individuals with diabetes, and their family members who are age 18 and older and living in the same household, at the Center for Diabetes & Nutrition Education at 222. W. Washington St. in Bradford. These vaccines are jointly offered by the Center for Diabetes, a department of Bradford Regional Medical Center, and Pennsylvania’s Department of Health. Seasonal flu vaccines by appointment only are offered at the Center for Diabetes on Monday, Nov. 2, from 1 p.m. to 4 p.m., and Tuesday, Nov. 3, from 1 p.m. to 4 p.m.
For an appointment, call the Center for Diabetes at 814-362-8717. Additional clinics will be added if necessary. Medicaid Savings in Chautauqua Co.
Mayville: -- Chautauqua County Executive Gregory J. Edwards announces the success of the Chautauqua County Veterans' Service Agency's Medicaid Demonstration Project. "Because of the work of Veterans' Service Agency Director Troy Smith, Veterans' Service Officer Michael Rauh and others, we were able to save over $1.4 million in Medicaid expenses." The $1.4 million in savings started at the end of February 2007 and was tracked through October 1, 2009. The program is still in effect, so more savings are anticipated. The goal of the Medicaid Demonstration Project is to find County veterans who were eligible for Veterans Administration benefits they have earned by their service to our Nation and assist them in getting the benefits. Often that can reduce Medicaid expenses. Edwards said they discovered that the best way to save money was to find Medicaid eligible veterans and their family members before they applied for Medicaid. Pheasants Forever Chapter 630 is pleased to announce that our Eighth Annual 2009 Youth Hunt, held on October 10, 2009, was another huge success. Two lucky kids won shotguns donated by our club. The winners for the Remington 870 20 gauge shotguns were Josh Zylinski, and Emily Pollino. This event gets bigger and better each year due to help and donations from our partners, the Pennsylvania Game Commission, Fox Township Sportsmen, Pepsi of St. Marys, WalMart of St. Marys, BiLo Foods of St. Marys and Sheetz. Al and Bonnie Dempsey donated and served a nice lunch to all involved. An anonymous donor paid for all of the chukar birds that were hunted on property owned by Jason Swanson of Kersey. It will be held Thursday, Nov. 12, from 2 p.m. to 3 p.m. in BRMC’s Ground Floor Assembly Room. November is National Family Caregivers Month and has been celebrated for the past 13 years. It is designed to be a time to thank, support and educate those who provide care to loved ones in the home. The upcoming teleconference is sponsored by the National Family Caregivers Association. “This program is for those who are caring for a loved one who is elderly, taking multiple medications, sees more than one doctor, or suffers from multiple illnesses,” says Kathy Pascarella, director of McKean County VNA & Hospice. Mayvillem NY -- County Executive Gregory J. Edwards has announced that the taxpayers of Chautauqua County will save millions of dollars on the cost of the new Methane to Electric Generation Plant thanks to the hard work of his financial team and the Federal government. In a letter received October 29th, the Department of Treasury informed Chautauqua County that it had been awarded an allocation of authority to issue $2 million in New Clean Renewable Energy Bonds (CREBs) to fund the County's Methane to Electric Generation Plant. The plant is located at the Chautauqua County landfill, and utilizes methane, a waste product, to produce electricity. "A CREB is a special type of bond known as a "Tax Credit Bond," that offers Chautauqua County the equivalent of an interest free loan for the Methane to Electric project," Edwards said. "The CREBS award from the Department of Treasury will save County taxpayers approximately $60,000 a year." There's a seasonal flu vaccine clinic from 10 a.m. to 1 p.m. today at the VFW in Bradford. This is for registered veterans only. This is a clinic for seasonal flu, not H1N1. 9:15 -- Weekend Wrap -- Congressman Joe Sestak talks about the "public option"
It's so appropriate that his birthday is on Halloween. We all hope you have a great day, Igor! Three men are accused of tampering with records at an Elk County service station. 60-year-old Kenneth Shaffer of Johnsonburg, 53-year-old Steven Smith of Dagus Mines and 34-year-old John Stumpf Jr. of Johnsonburg are charged in connection with issuing certificates of inspection. Police say the charges were filed as a result of an investigation into activities at Wally's Super Service on Old State Route in Ridgway Township relating to motor vehicle safety inspections. A woman is facing assault charges following an alleged incident Thursday night at the Hughes Hotel in Little Valley. 28-year-old Kimberly Blasdell of Little Valley was allegedly involved in an altercation at the hotel, according to Cattaraugus County sheriff's deputies. She was charged with third-degree assault and second-degree menacing. She'll appear in court at a later date. We probably won't see much sun on Saturday. Lindsay Schwarzwaelder says we might see some showers, though, but they should let up in time for trick-or-treating. The daytime high will be around 55. We'll see sunshine again by Monday, but it'll be a cool day with a high around 48. A Jamestown woman is facing charges after a domestic incident in Frewsburg. Chautauqua County Sheriff's deputies say they responded to a report of a possible car-pedestrian accident but, upon further investigation, found that the victim had been on the hood of a car driven by 22-year-old Vittoria Knisley and fell off. The victim, who was not identified, was treated for minor injuries at WCA Hospital then released. After the incident, Knisley fled on foot but was found a short time later and charged with driving without a license and driving while intoxicated. A Kennedy, New York, woman is facing charges after her vehicle almost hit a house on Route 62 in the Town of Poland. Chautauqua County Sheriff's deputies say 36-year-old Kimberly Snow told them she swerved to miss a deer and her vehicle went out of control. It then left the road, hit a fence and stopped short of hitting a house. Deputies say Snow was taken to WCA Hospital in Jamestown for treatment of minor injuries, and was later found to be driving while intoxicated. A gas well behind 14167 Wilcox Road in Clermont has been damaged. State police say someone tampered with the well on the property of 70-year-old Robert Perry of Mount Jewett at various times between January 24 and October 16. They say damage to the well resulted in a reduction in the gas flow and elimination of Perry's access to gas as an energy and heating source. Anyone with information on this incident is asked to call Kane-based state police. The children and their families decorated pumpkins and cookies, and participated in arts and craft projects, and face painting. Pizza and wings, punch and juice boxes, and definitely candy, were on the menu. Also, each child received a special Halloween Trick or Treat bag filled with goodies. Thanks again to Kristina for sending the pictures! State Rep. Matt Gabler (R-Clearfield/Elk) rebuked the latest attempt at instituting tolls on Interstate 80, one day after the Pennsylvania Turnpike Commission (PTC) filed an application to do so with the Federal Highway Administration (FHA). Gabler continues to receive testimony as to the potential harm tolling would do to businesses adjacent to the interstate. Washington, D.C.—U.S. Representative Glenn `GT’ Thompson, R-Howard, last night received a copy of the third application by the Pennsylvania Turnpike Commission and Rendell Administration to the Federal Highway Administration (FHWA) for tolling authority of Interstate 80. Both previous applications were rejected. Act 44 tasks the Pennsylvania Turnpike Commission with providing annual lease payments to PennDOT in exchange for operating I-80 as a toll road. This new application attempts to alleviate concerns addressed by FHWA in a September 2008 memo, which blocked the joint application from moving forward. “Act 44 has been a dice roll from the beginning. The Governor knew this, the Legislature knew this, and the Turnpike Commission knew this. All were complacent, as they sat back and allowed the Turnpike to borrow and spend almost $2 billion since July 2007, without any guarantee of repayment. PennDOT has issued a revised update for the Route 219 Bradford Bypass Project. Bolivar Drive will not be closed for bridge painting next week. That means there are no changes to the current restrictions and advisories. Smethport Mayor Ross Porter suffered several broken bones in an accident Thursday afternoon on Route 59 in Keating Township. Police say Porter's vehicle went out of control and hit a culvert and a tree. He was trapped inside the vehicle when emergency crews arrived on the scene. Porter was first taken to Bradford Regional Medical Center then flown to a hospital in Pittsburgh. National Fuel Gas has field a rate adjustment that represents a one-and-a-half percent increase for customers. The company says the annual bill for a typical customer would increase from $1,004 to $1,020. The amount is directly related to the actual market price of natural gas during the past three months as well as the projected price of gas that the Company will be purchasing for its customers from now through July 2010. The next opportunity to adjust Gas Supply Charges is February 1. Within minutes, the Student Affairs office was inundated with clothing and offers of other assistance for the students, who lost everything: shoes and clothing; computers; cell phones; books; backpacks, wallets and purses. “I was amazed,” said Kathy Woughter, vice president of Student Affairs, about the response from faculty, staff, other students and community residents. For the story, go to Alfred's Web site. Dr. Kurt Laemmer, a dentist at 197 Interstate Parkway in Bradford, will doing a candy buy back from 3 to 5 p.m. on Monday. He pays the kids for their candy, then sends the candy to the troops overseas. Today was the first day I've had a chance to visit Kimberly's Cool Beans Café, and I have to say it was worth the wait. I highly recommend the pumpkin latté. A Bradford man has been sentenced to one to three years in New York State prison for stealing from a Wellsville business. 35-year-old Shawn Howard was convicted of third-degree grand larceny. District Attorney Terrance Parker says Howard stole $4,004 worth of merchandise from Fassett Lane Building and Home Center by paying for items with checks from a closed account. Mary Beth Buchanan, U.S. attorney for the Western District of Pennsylvania, is resigning effective November 16. 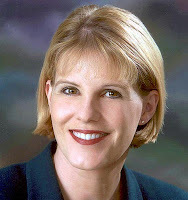 Buchanan was appointed in September 2001 after 13 years as an assistant U.S. attorney. Buchanan says she focused on combating terrorism, drug and gun violence, corporate fraud, civil rights and sexual predators of children. She didn't say what she'll do after she leaves the US attorney's office. New York Governor David Paterson has declared a state of emergency because of the rise in swine flu cases. The executive order means that more health care workers, including dentists, will be permitted to administer vaccines with only brief training. The order is needed to suspend provisions of state law. State officials also say the federal government is allowing them to order twice as many doses of the vaccine than they ordered a week ago. At least 75 deaths in the state have been attributed to the swine flu. United Refining will pay a fine of nearly half a million dollars for violating its air quality permit at the company's refinery in Warren. DEP cited United for frequently violating its permit emission limits, the most significant of these being the limit for sulfur dioxide. Continuous emission monitors at the facility indicated that United also exceeded emission limits for hydrogen sulfide and opacity from various sources. The violations date back to May 2007, but United has since taken corrective actions. DEP Regional Director Kelly Burch says, “In response to numerous emission violations, United has installed new equipment and software to improve its day-to-day emissions monitoring." The $495,000 penalty will be paid into the state’s Clean Air Fund, which supports projects designed to improve air quality throughout the state. Nearly a dozen alleged crack cocaine dealers have been arrested in Olean. Police say although the people may know each other they are not part of a drug ring. Besides crack cocaine, some of the people are also accused of selling heroin and prescription drugs. No drugs or paraphernalia were picked up in the raids, however. 20-year-old Derek Brantley; 26-year-old Frank Cole; 51-year-old Anna Galmer; 27-year-old Gary Holland; 28-year-old Buddy Langdon; 51-year-old Jeffrey Mayfield; 23-year-old Obidah Ramadhan; 25-year-old Randy Shaffer; 30-year-old Intisar Ramadhan Spencer; 20-year-old Stacy Spencer; and 23-year-old Clifford Thompson. The Olean Police Department, Cattaraugus County Sheriff's Department, State Police and the Southern Tier Regional Drug Task Force made the arrests. 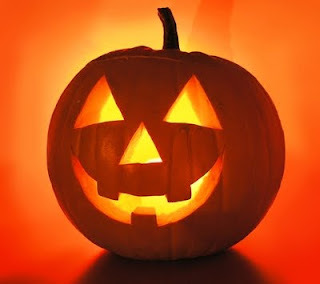 Officials and residents at The Pavilion at BRMC are inviting area children to Trick or Treat for Halloween at the facility on Saturday from 6 p.m. to 7:30 p.m.
Pavilion Administrator Bonnie Himes said some changes to the program are being undertaken this year due to flu precautions. In previous years, residents handed candy to the children. This year, Mrs. Himes said, candy will already be in special bags and the treats will be given to children by staff. 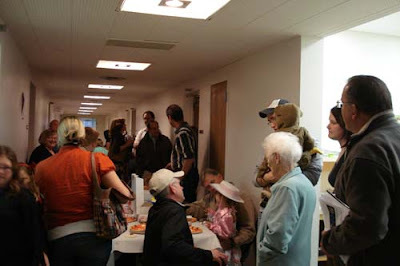 Residents of The Pavilion will be in the lobby as in previous years to see the children in their costumes. Mrs. Himes said children and their escorts should come in the main Pavilion entrance at 200 Pleasant St.
Buffalo Bills safety Jairus Byrd has been named the NFL defensive Rookie of the Month for October. Byrd, a second-round draft pick out of Oregon, is the first rookie with five interceptions in a month since Chicago Bears safety Mark Carrier in 1990. Byrd also is the first rookie with two interceptions in back-to-back games since Dallas Cowboys cornerback Everson Walls in 1981. Byrd's five interceptions lead all rookies and are second in the NFL behind New Orleans Saints safety Darren Sharper, who has six. A Salamanca man is in jail for allegedly fire a gun into a Jamestown house a month ago. 18-year-old Vincent Jimerson is accused of firing several rounds from a small rifle. Police say the alleged incident happened after an earlier altercation involving Jimerson. Several people, including small children, were inside the house at the time of the shooting. Jimerson was charged with reckless endangerment and sent to jail without bail. New York State Senator Antoine Thompson, who represents parts of Erie and Niagara counties, is holding a roundtable to get input and feedback from the public on gas drilling in the Marcellus Shale formation. The hearing will be from 11 a.m. to 1 p.m. November 10 at the State Capitol building in Albany. “We must sensibly examine the issues surrounding gas drilling in Marcellus Shale and the impact that it might have on New York’s economy and environment before making a determination. This roundtable will identify ways of accomplishing these tasks,” Thompson said in a news release announcing the roundtable.. The roundtable is open to the public to both attend and participate. Depending on the number of people wishing to participate, some may be asked to provide written testimony, rather than participate in person. Eleven Alfred University students and two from Alfred State College escaped from a fire that destroyed a building in Alfred's downtown historic district this morning. The fire started at about 6:30 at the corner of North Main and University streets. The building at 3 North Main was a three-story wood and brick structure owned by Phil Curran, who has operated the Alfred Sports Center there for more than 40 years. The upper floors of the building collapsed during the blaze. The displaced students were taken to the university's Powell Campus Center for counseling, clothing and food. Alfred, Alfred Station, Almond, Andover, Wellsville, and Belfast firefighters responded to the scene. Eight Alfred University students are safe, but they have lost all their clothing and possessions in a fire that is still burning on Alfred’s Main Street. The fire broke out at about 6:30 this morning on Main and University streets, in Alfred's historic business district. Kathy Woughter, vice president for Student Affairs, said the eight students who were living in second-floor apartments above West Side Liquor, located on the corner of Main and West University streets, are “safe and accounted for,” but they escaped without any of their possessions. For more information, you can go to Alfred's Web site. Back in March, the Bradford City Fire Department was hoping to get federal grant money to build a new fire station. Earlier this month Assistance to Firefighters Fire Station Construction Grants were awarded to dozens of fire departments across the country, and Bradford wasn't one of them. The fire department wanted to the new building because they say the current station is beyond renovation. The United Way of the Bradford Area was pleased with the successful turn-out of it’s Business Blitz Wednesday, the first time in a couple of years that the day’s events have taken place. The day targeted the area’s businesses, giving them the opportunity to confirm their planned contributions to the 2009 appeal, “Back To Basics”. Aside from the success of the business blitz, the staff is announcing that they are currently at 26% of the campaign goal, which this year is set at $325,000. Rep. Sam Rohrer (R-Berks) was joined today at a Harrisburg news conference by members of groups representing local governments and school boards to unveil the Emergency Mandate Suspension Act (EMSA). The proposal would provide financial relief to school districts, counties and municipal governments that are struggling to pay for unfunded state mandates. Under Rohrer’s measure, if the state mandates a program but then fails to provide adequate funding to implement it, counties, municipalities and school boards would be able to temporarily opt out of the spending initiative. Former Congressman and current US Senate candidate Pat Toomey is making a swing through McKean County today. "I want to learn as much as I can about the county – what's important here and what's important to the future of northern Pennsylvania and northwestern Pennsylvania," said the Republican from Zionsville. Toomey spent some time at Zippo Manufacturing Company in Bradford and the McKean County Courthouse in Smethport. Earlier this year, speculation was running rampant on whether Toomey would challenge Senator Arlen Specter for his Senate seat. Now that Specter has switched from the Republican to the Democratic party, Toomey's challenger in the primary will be Peg Luksik of Johnstown. Congressman Joe Sestak is challenging Specter. Toomey said he made the final decision to run because of the direction the government in Washington began to take. Because of inadequate vaccine supply, the seasonal flu clinic on Friday, Oct. 30, from 9 a.m. to noon has been canceled at the medical office of Susan Panah, D.O., at 1223 E. Main St., said Bradford Regional Medical Center officials. The clinic will be rescheduled as soon as a shipment of seasonal flu vaccine is received. The family of a Connecticut woman who died after her bathrobe caught on fire has filed a federal lawsuit against Blair Corporation of Warren. Attorneys for the estate of 80-year-old Atwilda Brown filed suit in U.S. District Court in Hartford claiming wrongful death and product liability. The lawsuit seeks $30 million. Brown was severely burned on February 12, 2005, when her robe caught on fire as she made tea in her home. She died two weeks later. Federal authorities say the robes are linked to nine deaths. Blair recently expanded its recall of more than 300,000 chenille products it imported from a Pakistani manufacturer. A proposal introduced today in Harrisburg would reduce the size of the state legislature by more than 20 percent. Senator David Argall’s proposal would eliminate 10 House seats each decade through 2053. It would also eliminate five Senate seats. The legislation would ultimately trim the size of the Senate from 50 members to 45 and the House of Representatives from 203 members to 153. "It is important to explore every option to save taxpayer dollars, and this is one way that we can reduce costs without reducing services to the people of Pennsylvania," Argall said. "I am confident that this proposal will help to save money without having a negative effect on the level of constituent service available to state residents." Argall says this is not the solution to all of the state's problems, but he says it's not right for legislators to demand cuts in other areas of government without cutting costs in the legislature. The last of the 41 people sought in Thursday's drug bust in Erie has been arrested. 32-year-old Assiac Robles turned himself in Monday, according to the state Attorney General's Office. Robles was in New Jersey on Thursday when investigators arrested the other suspects accused of being involved in a $5 million cocaine and marijuana trafficking operation. The arrests of the 41 suspects culminated a two-year investigation led by agents from the Attorney General's Bureau of Narcotics Investigation, known as Operation Diamond Drop. Former Elk County Tax Claim Bureau Office Manager Stephanie Kilhoffer is accused of taking money from the office while she worked there between March of 2007 and May of this year. Ridgway Police charged her with theft by unlawful taking, receiving stolen property and theft by failing to make required disposition of funds while she was employed between March 2007 and May 2009. Kilhoffer was arraigned by District Judge Tony King and released on $10,000 unsecured bail. A preliminary hearing has been scheduled for November 4. The Chautauqua County man who pleaded guilty earlier this year to the 1971 murder of a Vietnam veteran has been sentenced to one to three years in prison. Saden was 17 years old and a resident of Fredonia at the time of the murder. He was arrested at his home in Texas in August of 2008 and was brought back to Chautauqua County. Governor David A. Paterson and Pennsylvania Governor Edward G. Rendell today announced the details of their inter-state wager on the 2009 World Series between the New York Yankees and Philadelphia Phillies. Under the wager, the state with the losing team will offer a weekend vacation to a resident of the state with the winning team. Accommodations, meals and tickets for the vacation package will be donated by the respective companies, organizations and venues hosting the trip. The losing city will host the all-expenses paid weekend getaway. Williamsville, NY – As part of a voluntary, manufacturer's recall by Mars Snackfood US, Tops Friendly Markets has removed from shelves Dove Caramel Pecan Perfection ice cream with the lot number 931AB5YN07 because it may contain peanuts without listing them on the ingredient label. The lot number is found on the bottom of the containers. No related illnesses have been reported to date. People who have an allergy or severe sensitivity to peanuts run the risk of serious or life-threatening allergic reaction if they consume this ice cream. For those who do not suffer from a peanut allergy or sensitivity, this product is safe to eat. Dove Caramel Pecan Perfection is sold in a brown and gold 15.10 fl. oz. pint container and pictures a ribbon of caramel, pecans and a square of Dove Brand Chocolate on the front. A Meadville man is facing charges for allegedly fleeing from police. State police say they tried to stop a car for speeding on Route 6 Sunday evening, but the car driven by 19-year-old Andrew Blakeslee attempted to elude them by pulling into the parking lot of the Pine Creek Inn. Blakeslee fled on foot, but police eventually found him. Police say they will be filing charges of fleeing or attempting to elude police. The city is looking into the state's Early Intervention and Distressed Cities programs because of the current financial situation. During Tuesday's Bradford City Council meeting, Mayor Tom Riel said they are exploring the possibility of receiving some assistance from the state. He said both he and city controller Ron Orris feel "it would be beneficial and would alleviate a lot of the problems that the city has faced repeatedly over the last number of decades, especially the budgetary problems at the end of each year." "All the early intervention program does is – they come in here and give us advice," Orris said, "and I think that's what we need." Riel added that financial help is also available in the Early Intervention program. The Bradford City Police station will be manned 24/7 for at least another couple of weeks. City Council took no action on the matter during its regular meeting Tuesday night. A resolution to turn dispatch duties over to the McKean County 911 Center was the last item on some of the agendas passed out to the public, but Mayor Tom Riel explained that inclusion of the item was a mistake. Before the meeting, council held a brief work session to discuss alternatives to transferring the dispatch duties. Police Officer Chris Lucco said members of the department met and discussed several possible options to having a sworn officer perform desk duties. They decided that "any of the possible options would not meet your (Riel's) exceptions of a cost savings," Lucco said. While testifying in front of a Senate panel in Manhattan today, Seneca Nation Tribal Councillor JC Seneca stood by the nation's argument that the Treaty of 1842 prohibits the state from taxing them. Testimony also touched on the Seneca's casinos, which the nation says is one of the only bright spots in New York's economy. Seneca Senior Policy Advisor Rob Odawi Porter alluded to a report by the Empire Center for New York that says New York has suffered the largest loss of residents of any state in the nation. 1.5 million people moved out of New from 2000 to 2008. The Pennsylvania Wilds is sharing in nearly $3 million dollars worth of Regional Marketing Partnership grants awarded today. $90,000 is going to the 12-county region that includes McKean, Cameron, Clarion, Clearfield, Clinton, Elk, Forest, Jefferson, Lycoming, Potter, Tioga and Warren counties. As for Tourism Promotion Assistance grants, the Allegheny National Forest Vacation Bureau will receive nearly $14,000; the Potter County Visitors Association, nearly $5,000; and the Warren County Visitors Bureau, a little over $7,000. “Even in a challenging economy, Pennsylvania recognizes the need to invest in our tourism industry because it generates more than $28 billion in economic impact – an amount greater than the recently enacted state budget,” Governor Ed Rendell said. Pennsylvania is the fifth-most visited state, attracting more than 140 million visitors a year. More than 600,000 Pennsylvanians work in the tourism industry, drawing paychecks totaling $18 billion. Harrisburg – With children taking to the streets this week to trick-or-treat, PennDOT Secretary Allen D. Biehler reminded motorists to slow down and watch for pedestrians. Motorists should be especially vigilant on neighborhood streets as children may dart out between parked vehicles or walk on the side of the road. A husband and wife have pleaded not guilty to insurance fraud in Cattaraugus County Court. Ricky and Beth Kish of Perry are accused of telling sheriff's deputies their mobile home was damaged by fire. They attempted to make an insurance claim of more than $50,000 when the home had been sold. The alleged crimes happened between August 6 and September 24. The death of a Clearfield County firefighter is being treated as a homicide by state police. 41-year-old Roy Westover Jr. died early Saturday morning after suffering a heart attack while responding to a fire at an abandoned building. The fire is one of many suspicious blazes Clearfield County authorities are investigating. Westover had been a member of the fire department for more than 20 years. Representatives from the Cameron County Family Center’s Share the Love program visited Charles Cole Memorial Hospital’s Long Term Care residents to deliver Halloween cards this week. Program organizers Kris Fapore and Sissy Miller deliver holiday cards throughout the year and also visit residents at the Guy and Mary Felt Manor, Grove House, and Elk Regional Medical Center. Pictured, from left, are Pearl Coile, Robert Bunker, and Sissy Miller. The Cattaraugus County Health Department has announced its H1N1 vaccination sites. The first of the clincis is for pregnant women and anyone from 6 months to 24 years of age; and those ages 25 to 64 who have health conditions, such as chronic lung, kidney, liver and blood disorders. The first clinic is November 6th at the Machias Health Department and the second is from 1 to 4pm at the Salamanca Health Department. The third clinic is November 10 from 4 to 7pm at the Olean Health Department. The H1N1 flu clinic will again be held Tuesday, Oct. 27, from noon to 6 p.m. in Bradford Regional Medical Center’s (BRMC’s) Outpatient Services Center lobby. The clinic is strictly for those who are age 6 months to 24 years old, and also pregnant women. Parents who take their children to BRMC’s Pediatric Associates for healthcare and checkups will not need to obtain their child’s immunization records for the H1N1 flu clinic. Pediatric Associates will provide those immunization records. However, parents who take their children elsewhere for regular healthcare and checkups must bring immunization records in order for their child to receive the H1N1 immunization. Additional clinics will be held in the coming weeks for other target groups. dismantling the constitution and the liberties it was intended to protect. The answer, he says, is to get rid of most of the politicians in Harrisburg and Washington. He did say that, so far, Congressman Glenn Thompson and state representatives Marty Causer and Matt Gabler are doing a good job. Representatives of the Seneca Nation and other Indian tribes are scheduled to appear in front of the New York Senate Standing Committee on Investigation and Government Operations tomorrow morning. The hearing will center on the state's inability to collect taxes on cigarettes sold by Indian retailers to non-Indians. Committee Chairman Senator Craig Johnson says years after the courts affirmed a state's right to collect taxes generated by the sale of cigarettes by Native Americans to non-Native Americans at licensed smokeshops and over the Internet, the state Department of Taxation and Finance has been stymied in its tax collection efforts. Also scheduled to appear in front of the committee are representatives from New York City, local governments and the tobacco and convenience store industry. 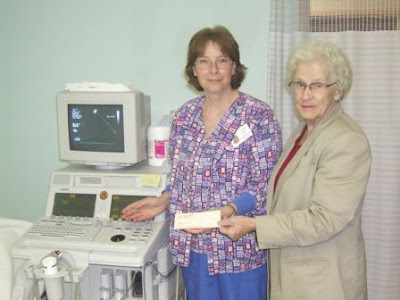 Linda Gee, cardiopulmonary coordinator at Charles Cole Memorial Hospital, accepts a check from Elizabeth Staub, on behalf of the CCMH Auxiliary, which will be used to purchase new cardiac monitoring equipment at the hospital. The auxiliary raised the funds during its 16th annual golf classic which was held in August. The new equipment allows for more efficient electrocardiogram analysis and interpretation, streamline workflow, and higher functionality to quickly retrieve, manage, and archive patient data. Physicians will be able to access electrocardiogram records from their offices and clinics anytime, day or night, for more responsive patient care. Three people pleaded guilty to drug charges today in Cattaraugus County Court. Samantha Miller of Salamanca attempted to sell crack cocaine on January 8, 2008, in Salamanca. Autumn Wheeler of Salamanca attempted to sell crack cocaine on January 24, 2008, in Salamanca. Traivel Daniels possessed cocaine with the intent to sell it on March 27, in Olean. Miller and Wheeler are scheduled for sentencing on January 11. Daniels is scheduled for sentencing on January 25. A woman who stole money from a bank while she worked there has been sentenced to 5 years' probation. While working as a teller at Community Bank in Olean on March 2, Nadine Nudd of Cuba, New York, created a bank statement that she said was from Five Star Bank and used it to steal money from a cash deposit. Nudd must also perform 200 hours of community service. From the Cattaraugus County DA's office. A Randolph teenager has pleaded guilty to his role in a near-riot at the Randolph Children's Home in May. 17-year-old Raymond Neville was one of 14 youths who ran away from the home on May 31. When they were rounded up and taken back to the home they engaged in "tumultuous and violent conduct," according to District Attorney Ed Sharkey. One person was injured and there was substantial property damage, according to court records. Neville will be sentenced in Cattaraugus County Court on January 11. New York Governor David Paterson is calling the New York State Legislature back on November 10 for a special session on the budget deficit. Paterson has proposed cutting nearly $5 billion from the state budget over the next two years. The governor will hold a public meeting with legislative leaders on Thursday in New York City and wants to address a joint session of the Assembly and Senate November 9 in Albany to outline the budget cuts he says must be made. Pirates center fielder Andrew McCutchen is Baseball America's Major League Baseball Rookie of the Year. McCutchen hit .286 with 12 homers, 54 RBI and 22 stolen bases in 108 games. He led National League rookies with 47 extra-base hits. Pirates rookie first baseman Garrett Jones was named to Baseball America's all-rookie team. Jones hit .293 with 21 homers and 44 RBI. He led all rookies in home runs and slugging percentage. In other Pirates news, the club has requested outright waivers on right-handed pitcher Tyler Yates and he has elected free agency today. The Pirates roster is at 38, plus pitchers Evan Meek and Jose Ascanio, who are on the 60-day disabled list. At 8 p.m. on Saturday we'll be running RadioPA's annual Halloween series, Eerie Pennsylvania. From Brad Christman: (This is a )new investigation of the strange and unexplained in the Keystone State. This year, we examine a creepy and abandoned building in western Pennsylvania that served as a poor house and a nursing home from 1925 to 2004. Hillview Manor has a long and deadly history that includes suicides, scandals and countless natural cause deaths on the premises. In fact, it’s the first subject of our documentary series that comes complete with its own morgue! “Eerie, Pennsylvania: Hillview Manor” is a one-hour special that explores the rich history of the Lawrence County property and investigates claims of paranormal activity there. You’ll hear chilling stories from current caretakers & past employees and we’ll conduct our own investigation of things that go bump in the night. A Jamestown man is in jail after police drove up on an attempted kidnapping early Saturday morning. 24-year-old Jeremy Smathers is charged with kidnapping after allegedly grabbing a 21-year-old woman as she was walking to work. He allegedly held her arm and kept a gun pointed at her side for about 15 minutes while taking her in different directions. When the woman saw a police car she ran toward it screaming for help and saying the man had a gun. Jamestown police, along with Ellicott and Lakewood-Busti police, state troopers and sheriff's deputies secured a perimeter in the wooded area between West Second and West Third Streets. They found Smathers about 10 minutes later and took him to the city jail. Charles Cole Memorial Hospital has announced the addition of Beverly Prince, MD, FACS, to its medical staff. Dr. Prince, who specializes in otolaryngology (ear, nose and throat), sees pediatric and adult patients at the hospital’s Irwin Medical Arts Center in Coudersport. Patients should be referred by their primary care provider. For more information, call 274-5243. Most recently, Dr. Prince maintained a private practice in Warsaw, NY, and also was a member of the surgical staff at Erie County Medical Center in Buffalo. ~~ And many other fun Halloween games! The annual McKean County Special Olympics Bowling Tournament was held on Sunday, October 25, at Byllye Lanes in Bradford, with over 100 special athletes competing. Capturing gold medals were Jay Furman, Charles Bradt, Nick Battles, Jon Palmquist, Rebecca Buccolini, Tracy Carson, Kim Langworthy, Jackie Wolfe, Peg Sitarchuk, Bob Clawson, Henry Keller, Sheridan Phillips, Jim Carlson, Dexter Rankin, Mike Walter, Matt Scott, Charlie Barr, Jon Seitz, Kim Daniels, Jalisa Daniels, Mike Frost, Roger Jacoby, Joe Sostakowski, Glenn Lee, Roger Austin, Gary Stewart, Fred Stewart, Glenn Carr, Lenny Hummel, George Weeks, Ashley Peterson, Janet Pressler, Anna Smith, Joe Lee, David Rose and Joe Torrey. The University of Pittsburgh at Bradford has added a minor in international business to its academic offerings. “It’s becoming increasingly important for all of us to have a global perspective, especially in business,” said Dr. Steven E. Hardin, vice president and dean of academic affairs. The new minor will require students to complete courses in World Regional Geography, International management, Global Economic Systems, International Finance and International Marketing as well as exhibit basic proficiency in a foreign language and study abroad for at least four weeks. Pitt-Bradford offers French and Spanish on campus, but will also accept prior fluency in another language or independent study using language-learning software. Study-abroad opportunities will be coordinated by Pitt-Bradford’s director of international studies Isabelle Champlin, assistant professor of anthropology. Albany continues to jam the accelerator to the floor, driving jobs and people out of the state with its suffocating taxes and out-of-control spending. Now, Governor Paterson has proposed a deficit reduction plan that would hike local property taxes. . . again. Last Spring, Governor Paterson and New York City-controlled Senate and Assembly Democrats muscled through the worst budget in our state’s history. It was crafted in secret behind closed doors without any opportunity for Senate and Assembly Republicans to contribute alternatives and solutions. In the Senate, we Republicans offered 18 amendments that would have eliminated all the new taxes and fees and wisely allocated federal stimulus dollars – unfortunately, all of our amendments fell short by only one vote. Worse yet, the public were excluded from the process. Pennsylvania senators Arlen Specter and Bob Casey work closely with New York senators Chuck Schumer and Kirsten Gillibrand on many issues. But now they're on different teams – not inside the Capitol – but on the baseball diamond. If the Philadelphia Phillies win the World Series, Specter and Casey will get cheesecakes from Junior's. If the New York Yankees win, Schumer and Gillibrand get Philly cheesesteaks. Parents who take their children to Bradford Regional Medical Center’s Pediatric Associates for healthcare and checkups will not need to obtain their child’s immunization records for the free H1N1 flu vaccination clinics being held today and Tuesday, from noon to 6 p.m., in the hospital’s main lobby. Pediatric Associates will be providing those immunization records. However, parents who take their children elsewhere for regular healthcare and checkups must bring immunization records in order for their child to receive the H1N1 immunization.